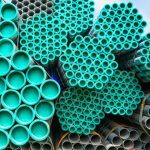 We have diverse varieties of steel employed in the manufacturing of tubes and pipes and each one has its own share of advantages and disadvantages. Let’s take a dive into the properties, applications of each one of them in detail. It’s a steel made out of iron and carbon with varying carbon percentage that determines its grade. 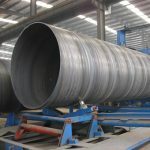 Low carbon steel is harder but also makes them more brittle and when the carbon percentage increases, it turns stronger and harder while also turning more difficult to weld and manipulate with heat. The constitution of other alloying elements like chromium, manganese, cobalt, tungsten is not defined. Owning to its low melting point it has a better heat distribution. It has a matte, dull finish. 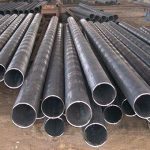 Medium carbon is easy to cut and formed by machines and they can be used to form rails, pipe lines and more. Made by immersing the carbon steel in the molten zinc, where the later diffuses into the top layers forming the protective layer that’s corrosive resistant. 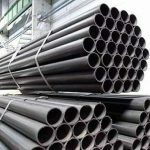 It’s affordable and cheap compared to stainless steel which is more stronger and sustainable and more attractive compared to Galvanized steel. 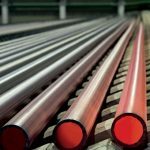 It’s primarily used in the low cost infrastructure projects and much cheaper method of rust-proofing the steel compared to stainless steel, hands down. Applications: Low cost infrastructure projects, steam, water, gas, or air lines. 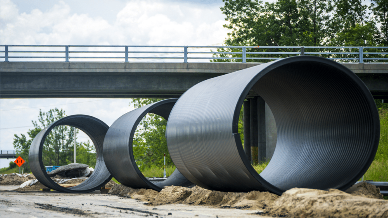 Stainless steel tubes are used for water solutions where purity is high priority and structural solutions for automobile and infrastructure projects. 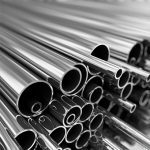 Stainless steel pipes for high performance industries such as aerospace and engineering. Applications: Aerospace, Automobile, Infrastructure projects to name a few.